Discuss. Plan. Code. Review. Test. 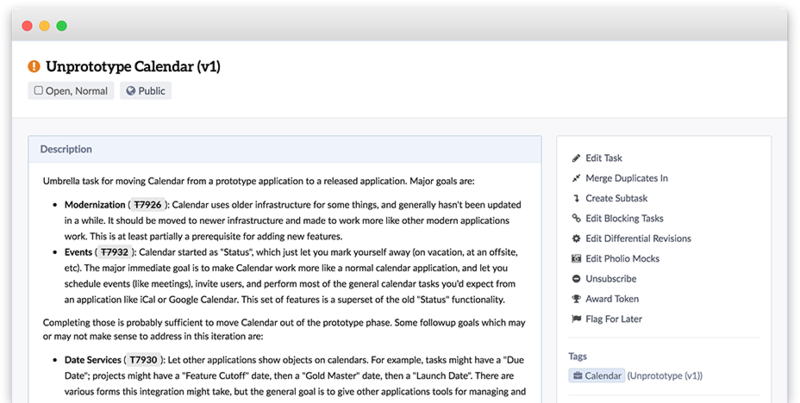 Every application your project needs, all in one tool. 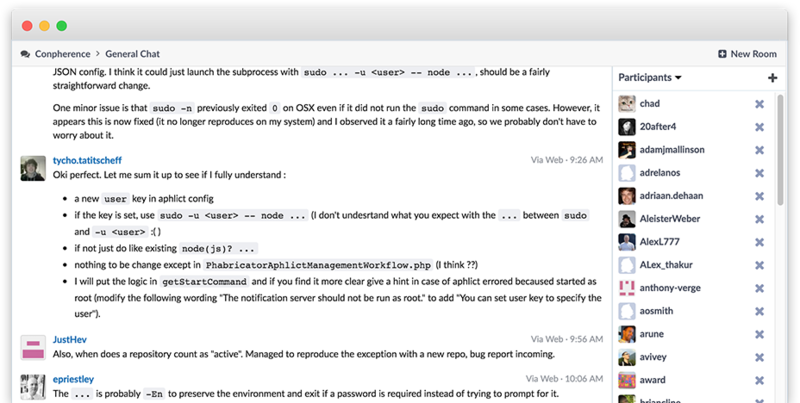 Review others' code with Differential, because they can't be trusted. 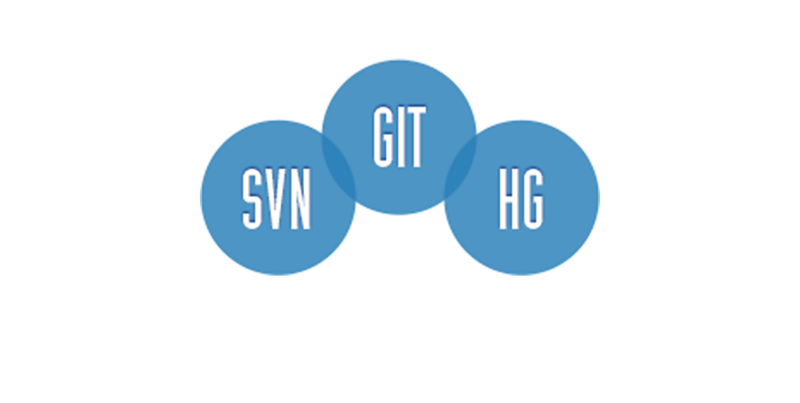 Challenge the intern's test plan. Gently place bad code back in the author's queue. 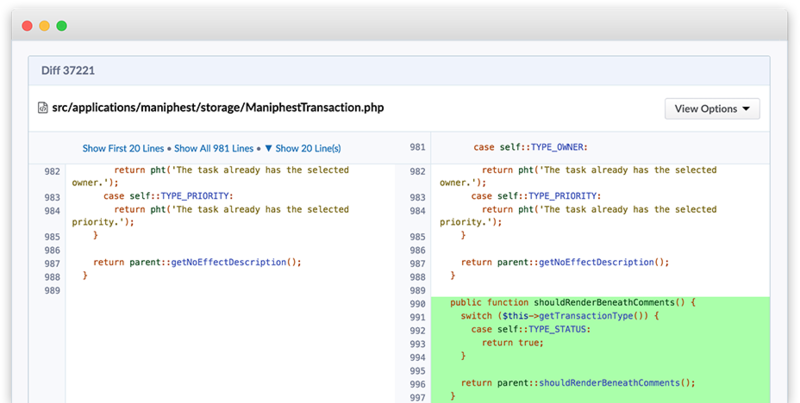 Phabricator supports post-commit auditing, either as a primary workflow or, when coupled with Herald, allows rule based triggers to get an extra set of eyes on your code. 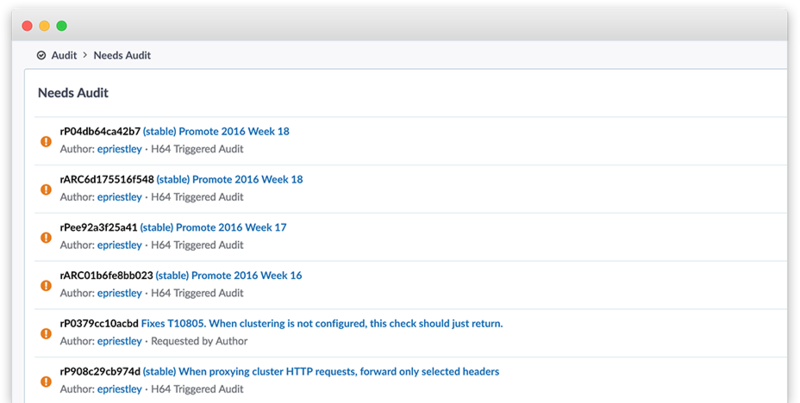 If you can't review, cover what you can with Audit. 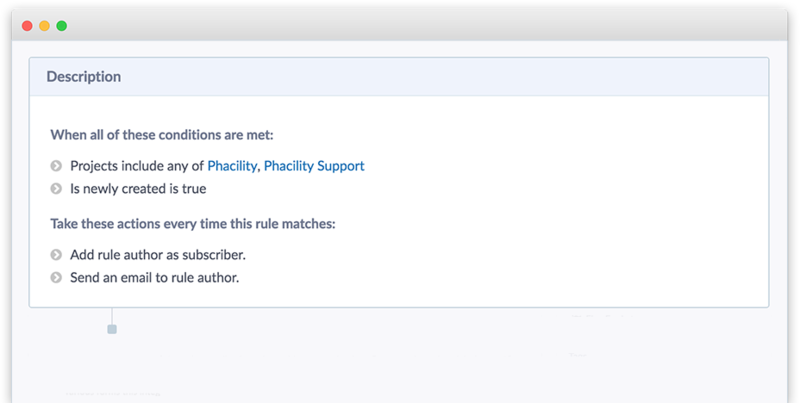 You can write things down and revert them later with Phriction, which is a document wiki. 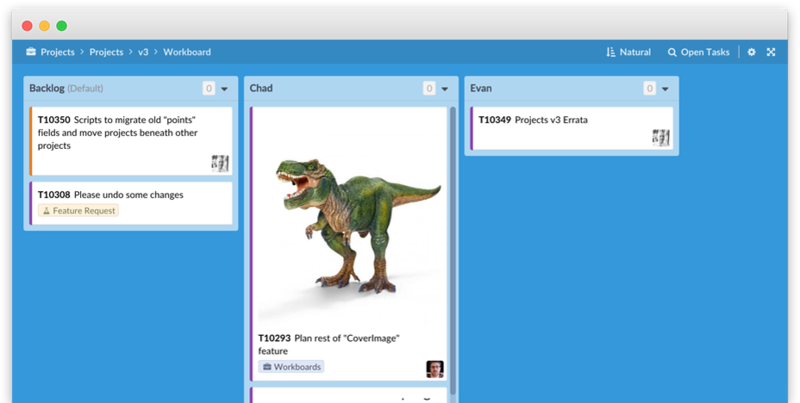 Use sophisticated drag and drop to make sure your project is properly micro managed with Workboards. With Conpherence keeping up with where your team is having lunch is just a few clicks away. 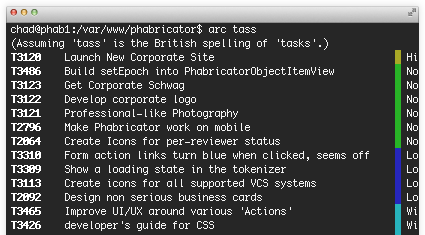 The arcanist command line tool gives you CLI access to most of Phabricator's functionality. 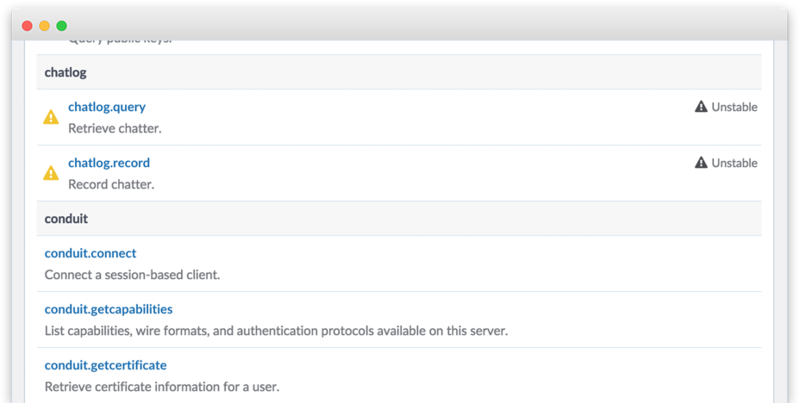 Even has a serious business mode, for the most serious businesses. 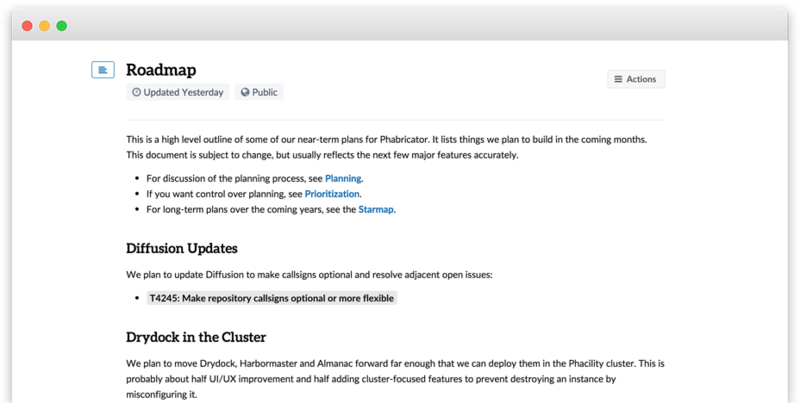 Phabricator is under active development, and we've accepted patches from hundreds of unique contributors to date.